My cats hate each other, but they hate winter more. Both Big Blonde and the Black Whiner have finally come to one agreement; cold and snow are not to be tolerated. My cats are very lucky. They live lives of relative luxury; they are loved, well-fed, and taken care of when they are ill or needy. 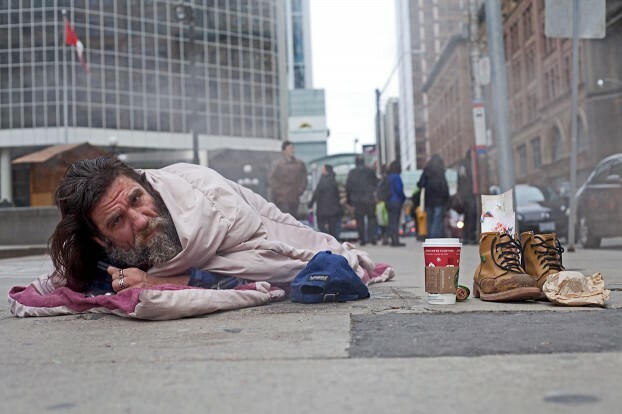 The two homeless men that died in Toronto during the cold snap of this week were not so lucky. As temperatures plummeted, the men – one found dead in a downtown bus shelter wearing only jeans, a T-shirt, and a hospital bracelet; the other found dead in an abandoned delivery truck parked in the city’s west end on Monday – were 55 and 60 years old. There hasn’t been a lot of information released yet on these men’s backgrounds. It seems they’ve already been filed under ‘homeless,’ and for many people, that’s enough to make a judgment. “Those” people – those that have fallen through society’s cracks and who bother us by begging for spare change, or whom we step over as they sleep on heating grates in one of North America’s richest cities – rarely elicit more than a ‘tsk’ from those who have jobs, families, friends, and societal approval. In Toronto, the Mayor’s office issues an extreme cold weather alert when the temperature plummets to –15 C, (5 below, in Fahrenheit,) or when Environment Canada‘s forecast includes factors like wind chill and precipitation. 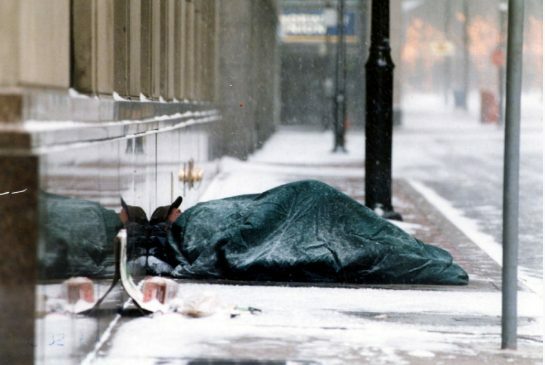 The city has to do so, as even if there were enough shelters to hold our most vulnerable residents, there are many who would still brave the cold rather than seek shelter. The cold weather alert releases additional resources, like warming centres, in those cases. Despite the cold snap that descended on Toronto on Monday morning, the city did not call an alert. On Tuesday morning, temperatures reached -20 C with wind chill, but the actual temperature was -14 C, just above the range. Imagine being outside and homeless, chilled to the bone, teeth rattling as you shiver, and contemplating that one degree of separation. Even though an extreme cold weather alert had not been issued by Toronto Public Health (TPH,) Mayor John Tory requested last night that the city manager open Toronto’s two 24-hour warming centres. TWO warming centres, in a city with an estimated population of more than 2800 people living on the streets on any given night. 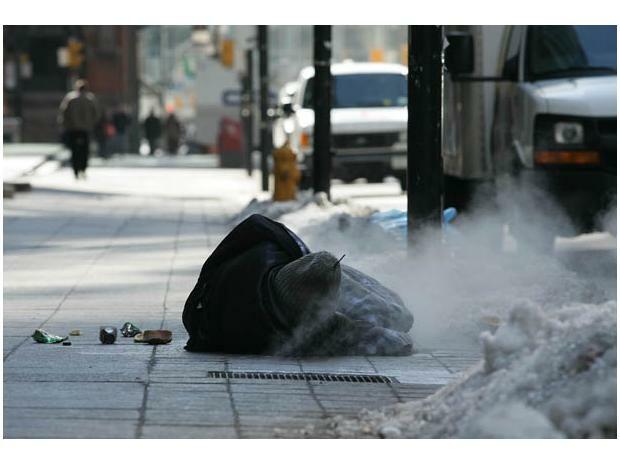 On the bright side, during an extreme cold weather alert, shelters are directed to relax service restrictions, allowing some homeless, known to be mentally unstable or disruptive, a chance to “warm up.” Transit tokens are made available at drop-in centres so that people can reach shelters, additional shelter spaces are made available, and there is an increase in street outreach and transportation services. Gaetan Heroux, a member of the Ontario Coalition Against Poverty, organized a protest at City Hall yesterday, as the hashtag #CallTheAlert trended on Twitter. Toronto residents calling for action gathered outside the Mayor’s office criticized the city’s policy of 15C below. With two dead in two days, Toronto Public Health (TPH) still defended the -15 C threshold, saying that their conclusions are appropriate, and based on science. Meanwhile, local radio and television statements urged pet owners to be diligent in keeping their furry friends indoors, as the cold could lead to frostbite and long-term health problems. Environment Canada has issued an extreme cold weather warning for today, forecasting that the wind chill will make it feel like close to –30 in the afternoon and overnight. 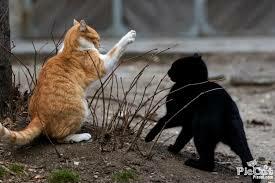 My cats are lucky; they’ll be safe and warm, well-fed, and being cared for by people that love them. 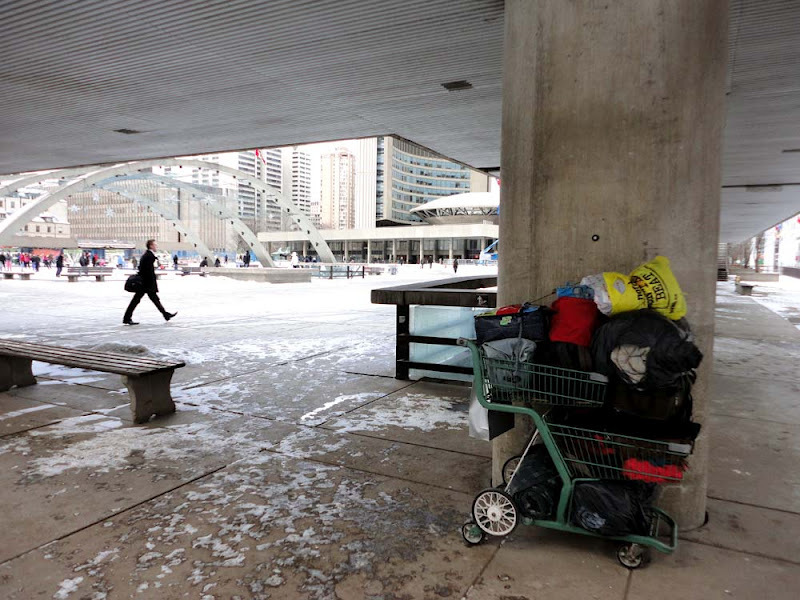 But for the homeless in Toronto, there’ll be two warming shelters, begrudgingly allowing its citizens with physical, emotional or financial problems to “warm up,” – but only when it’s below 15C.